Random orbital sanders can be used for very varied applications. 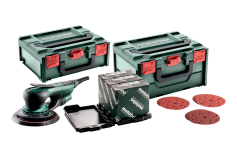 They are suited for sanding and polishing of surfaces made from wood, metal and other materials. Thanks to the typical rotating and oscillating movement a particularly uniform grinding result is achieved. 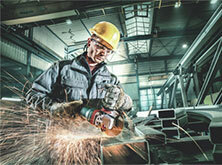 Both sanding jobs with high material removal and uniform fine grinding can be carried out. The grinding media used and the size of the oscillating circuit are the determining factors of how coarse or fine the sanding result will be. 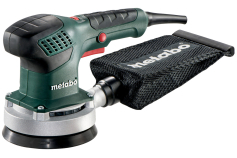 Metabo random orbital sanders are available for sanding sheets with the diameters 80 mm, 125 mm and 150 mm. Economical working, high surface quality, excellent extraction performance, perfect ergonomics - these are the requirements for a good sander. 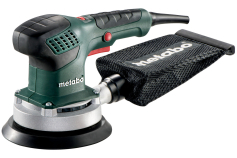 All Metabo random orbital sanders can score here and each of them has its very particular application focus: The small random orbital sander SX E 400 shows its advantages on small surfaces and curves. The versatile SXE 450 TurboTec can show its potential with its "Duo" oscillating circuit setting for fine and coarse applications. 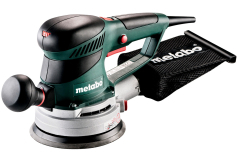 The two random orbital sanders with brushless motor SXE 150-2.5 BL with 2.5 mm / 5 mm orbit diameter provides enormous power and perfect surface quality with extremely compact dimensions and very low weight. 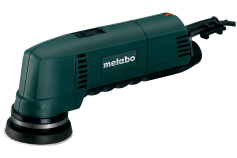 If a company works with compressed air tools, the Metabo air disc sander DSX 150 for coarse and fine sanding applications on even and curved surfaces is available. Almost all random orbital sanders have speed regulation. Thanks to this you can always work with speeds adjusted to the material. 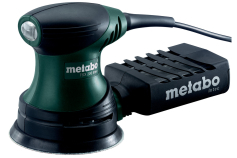 Depending on the model, Metabo random orbital sanders are equipped with other special features: With the Turbo boost function you have additional power reserves at your disposal at the touch of a button for maximum material removal. The Power Control System prevents scratches on the surface when placing the machine directly on the material at full speed. A disc brake permits fast placing down of the sander after switching off. 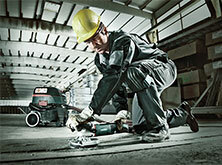 Equipped with a sanding pad with multiple perforation, the generated grinding dust can be extracted most effectively. 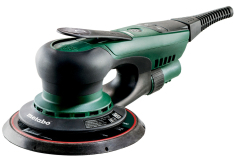 Obviously, all random orbital sanders from Metabo offer the possibility to connect a vacuum cleaner for dust extraction for low-dust working. 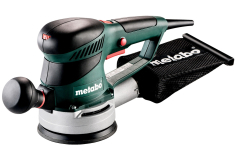 Metabo has a large selection of sanding papers on offer. Sanding sheets in grits P40 to P 400 for wood and metal are offered for all relevant diameters and perforations. Also some assortments with different grits are available. For sanding paint and lacquer there is an additional complete range of cling-fit sanding sheets in the same grits. Polishing sponges and lambswool polishing discs round off the range. Just like the thick hook and loop intermediate discs that are placed between sanding pad and sanding paper to permit sanding of curved surfaces and contours. For the integrated dust extraction, dust collector cartridges and dust bags can be used. 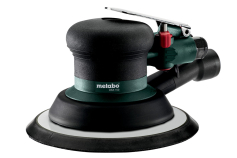 Much more efficient, however, is the external extraction, for which the Metabo all-purpose vacuum cleaners are ideally suited.